Can we do politics better than this? With Scott Morrison careering from one disaster to the next, it’s hard to remember when the games that pass for politics in Canberra were last done well, or at least competently. 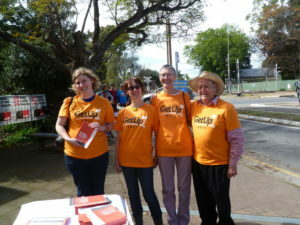 When I co-founded GetUp! back in 2005, the big issues were: refugees, instability in the Middle East and climate change. For all of GetUp’s success at annoying the far right of the Liberal Party, not a lot has changed on the big issues. Australia feels a bit stuck. So, for the last two years I have made it my mission to go around the world and find inspiration from people who are having better luck than us at making politics work in a way that actually make people’s lives better. And the good news is, there are plenty of stories to tell. In every continent, there are campaigns that Australia could learn a thing or two from. In Uganda, they treat their refugees like equal citizens, granting them land and protection under the law. The result is a thriving economy instead of detention and persecution. In Hong Kong, democrats continue to push the Chinese government to live up to its own words. Their success has been limited — but their determination is thrilling. Even in the US, there’s a political insurgency, called Indivisible, who are managing to take the edge off Trump’s agenda by trying to sway politicians on both sides of politics. 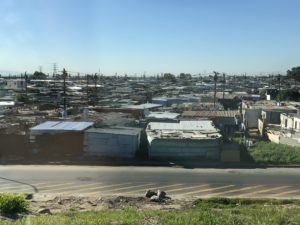 I’ve gone and collected these stories for a podcast called ChangeMakers. It’s a great format, because by definition, the people who’s stories I’m telling are heroes. They’re people who struggle against the odds, against those in power, and, more often than not, prevail. When I started the podcast, I was so jaded about Australian politics I was genuinely doubtful I could find stories from Australia that would be able to stand shoulder to shoulder with the international stories. If you think of politics as the stuff that goes on in Canberra, Australia is not exactly replete with heroes. But standing back and looking across the world, has made re-examine the elements of Australian politics. As long as you avert your gaze away from Canberra, there are tons of campaigns achieving remarkable things. Take for instance, the humble city of Lismore, in Northern New South Wales. The Gasfield Free Northern Rivers Coalition won a remarkable moratorium on Coal Seam Gas. And how did they do it? With the same techniques that Martin Luther King Jr’s used during the civil rights battles in the 1950s and 60s. They used non-violent civil disobedience and put their bodies on the line to contest injustice. More recently, I did a story about the marriage equality campaign. 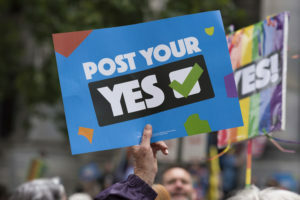 I was reminded that the battle for justice is often filled with dirty tricks – like the plebiscite and postal survey – and that homophobia, hatred and fear would stridently resist a pathway to justice. Yet, throughout that story, I kept meeting people who by any definition are genuine heroes. Change is possible. It’s just that when we spend to much time taking our cues from the Murdoch-owned press, or gazing at the sideshow that Canberra has turned into, we fail to see the real stories of how change is being achieved. Good people are making the world better every day. Occasionally we hear about these movements in the media – like the Umbrella movement in Hong Kong that occupied the city for 79 days in 2014 – but we rarely hear the stories behind how they got started, how they built and how they struggled. That’s where ChangeMakers comes in. We use the story telling style of the famed “This American Life” radio show to share the dramatic journeys of amazing people who have changed the world. And to make our stories, like say the Umbrella movement, we went to Hong Kong and interviewed key players – including Kinman Chan one of the original strategists – to get new insights about what that movement did and what the leaders learnt as they staged their iconic struggle. Politics in Australia will only improve if everyday people are able to push their way in. When we leave politics to the politicians, we get what we have now – The Canberra Show. But when people, organised in their communities, acting on their deep concerns for a better world, have the skills and knowledge to act powerfully for justice – then look out Australia – that is when a new political life might finally be possible. Author Amanda Tattersall is the Host of ChangeMakers Podcast. Series Two launched 29 October 2018, available on iTunes, Podcast One and Stitcher, and all other Podcast Apps.